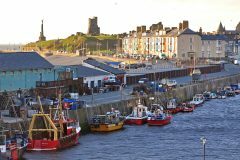 Two passionate fishmongers braved the elements as they made a 140-mile journey from Stoke-on-Trent to Grimsby in a bid to raise money for the Fishermen’s Mission. Tesco fishmongers, Emma McKeating and Nicola Rowbotham, have fallen in love with the fishing industry since they started their jobs at the supermarket, competing in fish craft competitions and travelling all over the country on their days off to visit fish markets and fishermen. 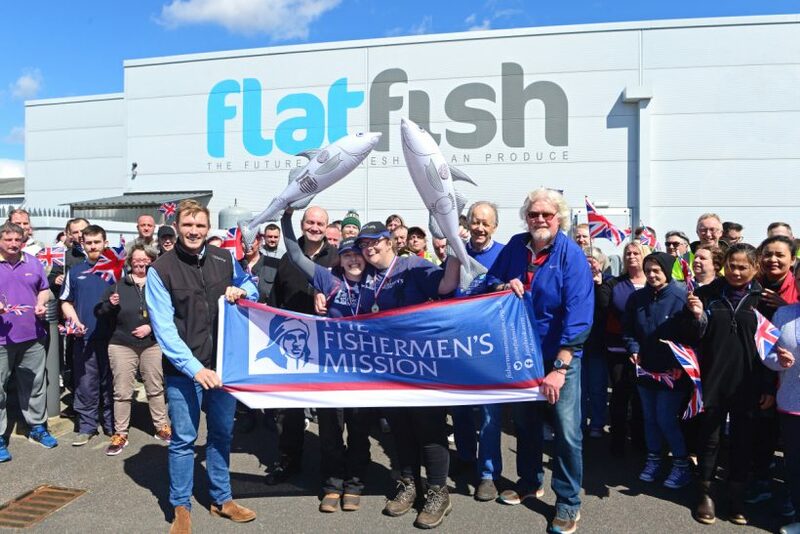 Wanting to do their bit to help the Fishermen’s Mission, they decided to set off on a journey as they walked from Emma’s fish counter in Stoke all the way to the Flatfish fish processing factory in Grimsby. 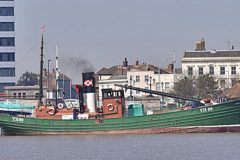 Steve Stansfield, managing director of Flatfish, was very proud to be part of the pair’s journey. He has got to know the pair over the years, through fish craft competitions and their sheer love of a good bit of fish. Nicola Rowbotham celebrate completing their epic walk from Stoke to Grimsby with Jim Portus and staff from Flatfish Ltd after the elated duo breasted the finishing tape. Steve said: “Emma and Nicola have sort of become little celebrities in the fish industry, they just have so much passion for everything to do with it. The fishmongers were very emotional as they finished their nine-day journey, which took them through the Peak District and the Lincolnshire Wolds, embracing each other as they crossed the finishing line set up by the staff from Flatfish, who lined the entrance to the car park to applaud them for their efforts. Emma McKeating said: “I started work as a fishmonger around five years ago and since then I have learned so much about the industry and fallen in love with it. “Thanks to the training that I have been given at Tesco, I have been in fish craft competitions and through them got to meet so many people from all over the country who work in the fish industry. 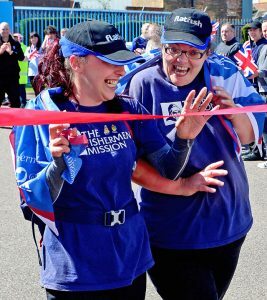 Jim Portus, CEO of the South-West FPO, represented the Fishermen’s Mission, travelling to Waltham so that he could walk the final six-anda- half miles with Emma and Nicola. “We are very grateful for the effort that Nicola and Emma have put in to raise money for the Mission. “I have got to know them well over the past few years, and their passion and love for the fishing industry truly amazes me,” he said.